A design based research strategy examining the impressions and behavior of members of courses taught entirely online is used for refining a context-aware activity notification system (CANS). The findings show that CANS must address substantial variety in courses and members while also fitting with multitasking between online and real world activities for the members. Two dimensions of online tools to support learning in a multitasking environment were identified: salience and meaningfulness. Salience is the tuning of awareness information to a particular technological and pedagogical context. Meaningfulness is achieved by ensuring that awareness data for a particular context align with the mental model of users receiving it. The design that emerged to support the diverse and multitasking nature of online learning includes reporter mechanisms customizing context awareness to the course, members, and pedagogical structures. Laffey, J., Amelung, C. & Goggins, S. (2009). A Context Awareness System for Online Learning: Design Based Research. International Journal on E-Learning, 8 (3), 313-330. Waynesville, NC USA: Association for the Advancement of Computing in Education (AACE). Retrieved April 23, 2019 from https://www.learntechlib.org/primary/p/26243/. Amelung, C. (2005). A context-based activity notification framework for developers of computer supported collaborative environments. Unpublished dissertation. University of Missouri, Columbia. Amelung, C. (2007). Using social context and e-learner identity as a framework for an e-learning notification system. International Journal of E-Learning, 6(4), 501–517. Bayazit, N. (2004). Investigating design: A review of forty years of design research. Design Issues, 20(1), 16–29. Bereiter, C. (2002). Design research for sustained innovation. Cognitive Studies, Bulletin of the Japanese Cognitive Science Society, 9(3), 321–327. Brézillon P. (1999) Context in problem solving: A survey. The Knowledge Engineering Review, 14(1), 1–34. Brown, A.L. (1992). Design experiments: Theoretical and methodological challenges in creating complex interventions. Journal of the Learning Sciences, 2(2), 141–178. Brown, J., & Duguid, P. (2000). The social life of information. Boston, MA: Harvard Business School Press. Carroll, J.M., Neale, D.C., Isenhour, P.L., Rosson, M.B., McCrickard, D.S. (2003). Notification and awareness: Synchronizing task-oriented collaborative activity. International Journal of Human–Computer Studies, 58: 605–632. Carroll, J.M., & Rosson, M.B. (1992). Getting around the task-artifact cycle: How to make claims and design by scenario. ACM Transactions on Information Systems, 10(2): 181–212. Chyung S.Y. (2001). Systematic and systemic approaches to reducing attrition rates in online higher education. The American Journal of Distance Education, 15(3), 36–49. Collins, A. (1992). Toward a design science of education. In E. Scanlon& T.O’Shea (Eds.) New Directions in Educational Technology. Berlin: Springer-Verlag. Design-Based Research Collective (2002). Design-based research: An emerging paradigm for educational inquiry. Educational Researcher, 32(1), 5–8. Dourish, P., & Bellotti, V. (1992). Awareness and coordination in shared workspaces. Proceedings of Conference on Computer-Supported Cooperative Work, Toronto, Canada, October 31–November 4 (pp. 107–114). Edwards, W.K. (2005). Putting computing in context: An infrastructure to support extensible context-enhanced collaborative applications. ACM Transactions on Computer-Human Interaction, Vol. 12, No. 4, 446–474. Erickson, T., and Kellogg, W.A. (2003). Social translucence: Using minimalist visualizations of social activity to support collective interaction. In K. Höök, D. Benyon, & A. Munro (Eds. ), Designing Information Spaces: The Social Navigation Approach, pp. 17–42. Berlin: Springer-Verlag. Goggins, S.P., Laffey, J., and Tsai, I.-C. (2007). Cooperation and groupness: Community formation in small online collaborative groups. In Proceeding of the 2007 International ACM Conference on Supporting GroupWork, New York (pp. 207–216). Kern, N., & Schiele, B. (2003). Context-aware notification for wearable computing. 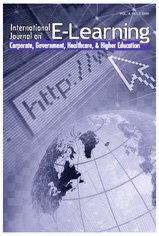 Proceedings of the IEEE International Symposium on Wearable Computing, Washington, D.C.
Laffey, J., Lin, G., Lin, Y. (2006). Assessing social ability in online learning environments. Journal of Interactive Learning Research, 17(2), 166–173. Lee, C.H., Bonanni, L., Espinosa, J.H., Lieberman, H., & Selker, T. (2006). Augmenting kitchen appliances with a shared context using knowledge about daily events. Proceedings of the Eleventh International Conference on Intelligent User Interfaces. Lehikoinen, J.T. & Kaikkonen, A. (2006). PePe field study: Constructing meanings for locations in the context of mobile presence. Paper presented at the MobileHCI 2006, Helsinki, Finland. Moran, T., & Dourish P. (2001). Introduction to the special issue on context-aware computing. Human-Computer Interaction, 16: 87–95. Neustaedter, C., Elliot, K., & Greenberg, S. (2006). Interpersonal awareness in the domestic realm. Paper presented at the OZChi 2006, Sydney, Australia. Palumbo, D. (1990). Programming language/problem-solving research: A review of relevant issues. Review of Educational Research, 60(1), 65–89. Social Computing Research Group. (2006). Social nature of online learning in Sakai. In E. Pearson& P. Bohman (Eds. ), Proceedings of AACE World Conference on Education Multimedia, Hypermedia and Telecommunications 2006, pp. 613–620. Chesapeake, VA: AACE. Sun, C., Xia, S., Sun, D., Chen, D., Shen, H., & Cai, W. (2006). Transparent adaptation of singleuser applications for multi-user real-time collaboration. ACM Transactions on ComputerHuman Interaction, 13(4), 531–582. Yang, S. (2006). Context aware ubiquitous learning environments for peer-to-peer collaborative learning. Educational Technology and Society, 9(1), 188–201.